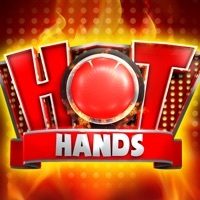 Hot Hands is the new fast and furious tip-of-the-tongue game from The Ellen DeGeneres Show and the makers of Heads Up!, combining all the fun of celebrities and pop-culture savvy with a big red button. Choose from a variety of categories, from TV Stars to Award Winners, and Musicians. 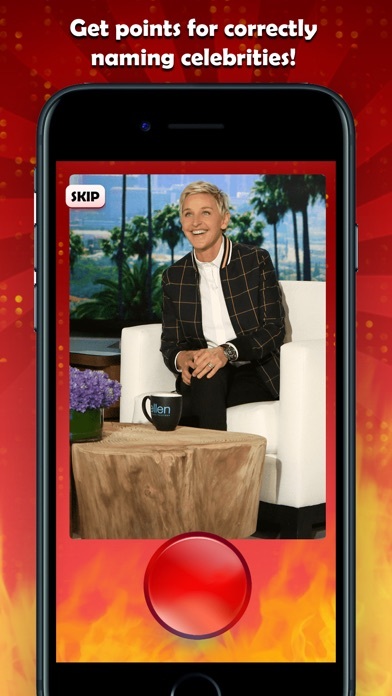 See a picture of a celebrity on the screen, say their name, and press the red button, but hurry! You have only three seconds to identify who each celebrity is! 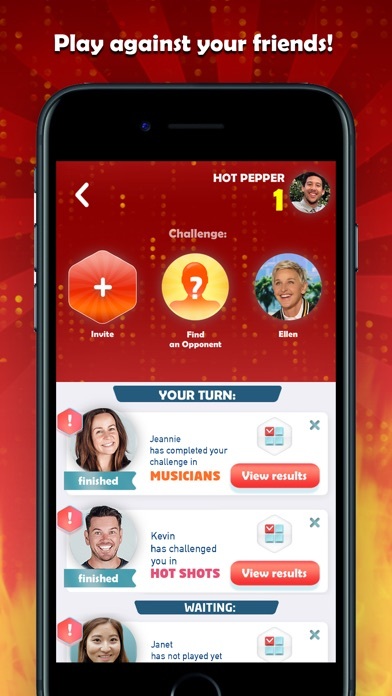 If excitedly shouting celebrity names isn’t an option, you can also play in Multiple Choice and Initials modes. Think you’re hot? 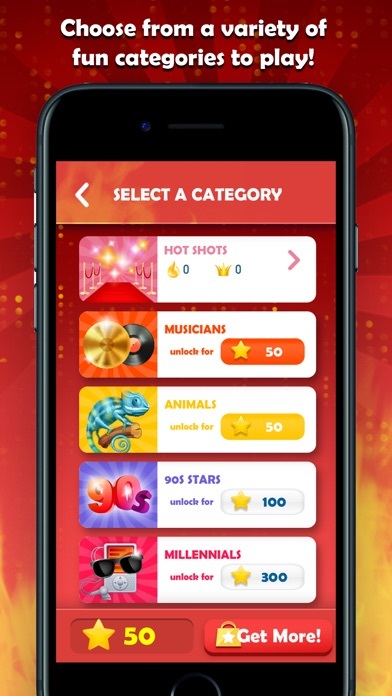 Challenge your friends to compete in Multiplayer mode. 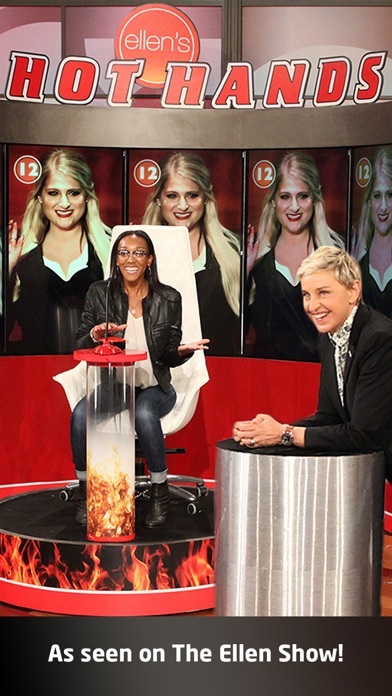 May the hottest hands win! I really enjoyed this app. I enjoyed it so much that I decided to spend money to buy more stars in order to unlock more categories. After purchasing $9.99 worth of stars, I never got the stars. I’ve waited over two weeks before leaving a bad review to see if they would respond to my emails and rectify the situation, but two weeks and three emails later and I still haven’t heard a thing. As of this review my credit card was charged and never refunded. Super disappointing. I never write reviews but.. I like the game but it’s unstable when in multiple choice mode. For some reason it keeps opening a side window despite me not touching anything but an answer button. Once the side window opens you lose your chance at answering that slide. I had no problems in voice mode. On the multiple choice version whenever I used my left thumb to select an answer it would instead pull up the side menu and disrupt game play. Don’t download this app. This game would be a lot more fun if I could challenge friends from fb that play. It doesn’t connect the way most games do. This used to be my favorite game, and I never had issues ... until today. The mic doesn’t work at all! I say the correct answer clearly and it doesn’t work. Also, where is the skip button on voice mode?! Peripheral vision is a side gaze yet your near peripheral is able to see forward not backward. So, if the answers were above the image it’d be easier to see the picture while choosing the answer. Time should be added AND/OR the answers should be listed above the picture while playing.